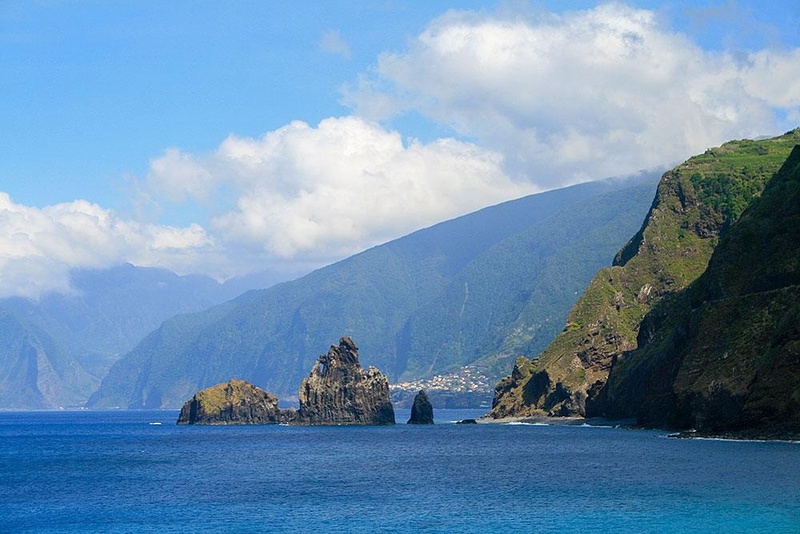 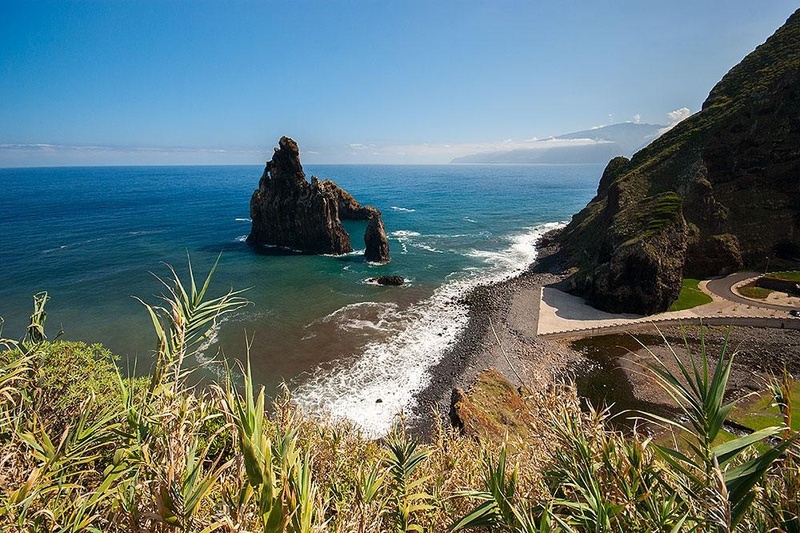 Images of Porto Moniz Municipality, the most north-western point of the island and also one of the most spectacular. 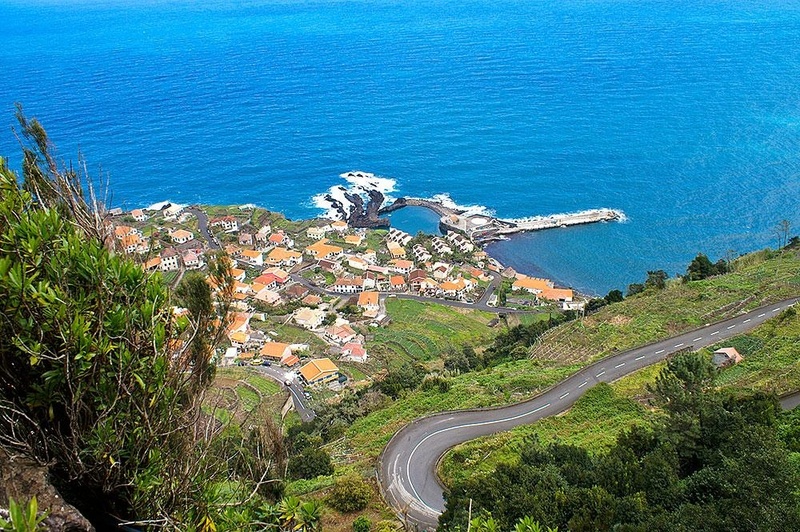 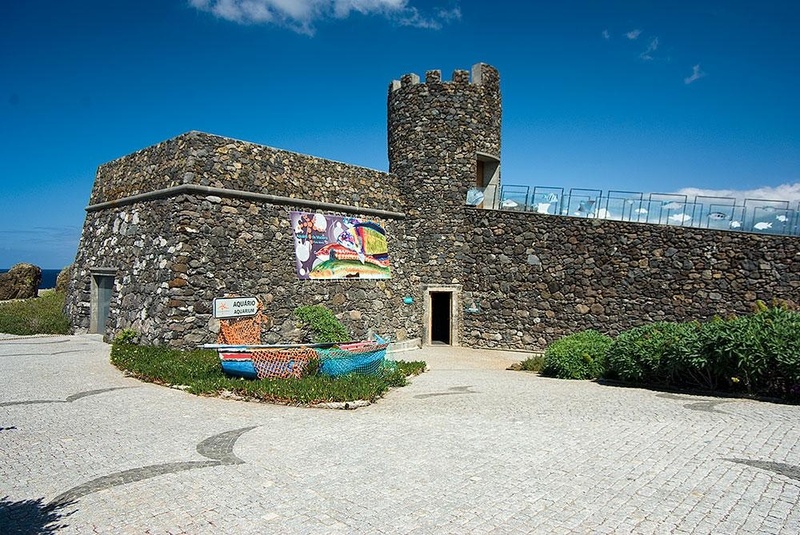 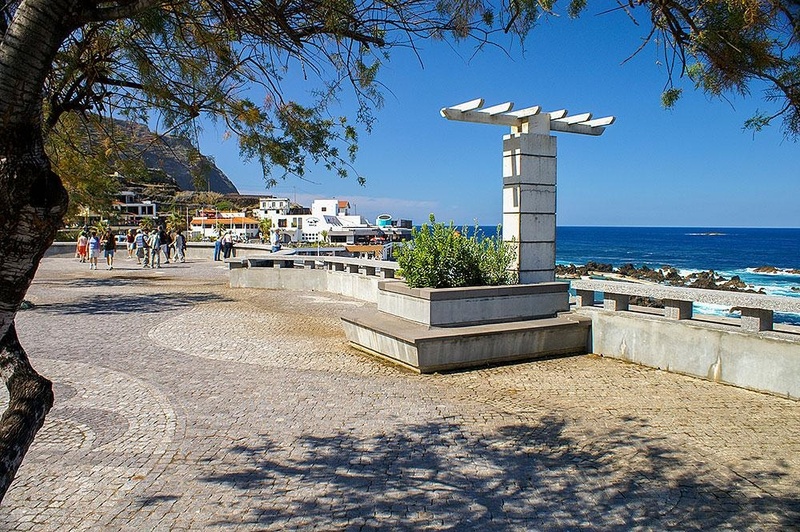 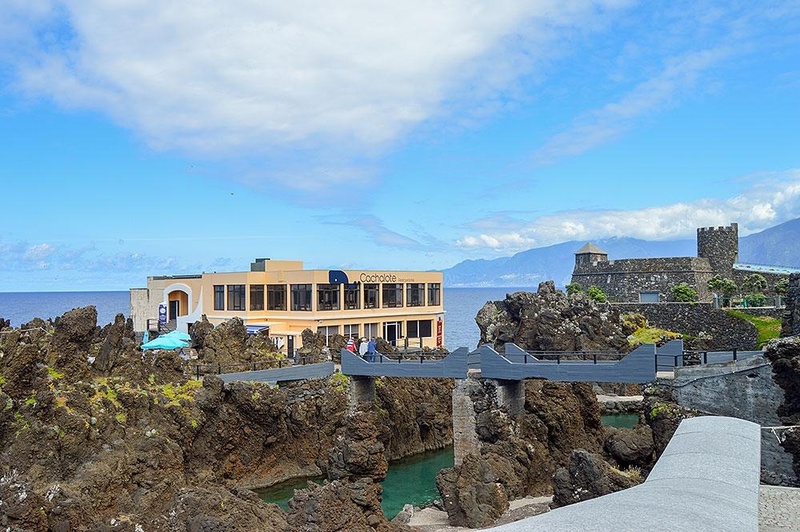 In the centre of Porto Moniz you will find a little of everything: from handicraft shops to restaurants specializing in fresh fish to several hotels and inns. 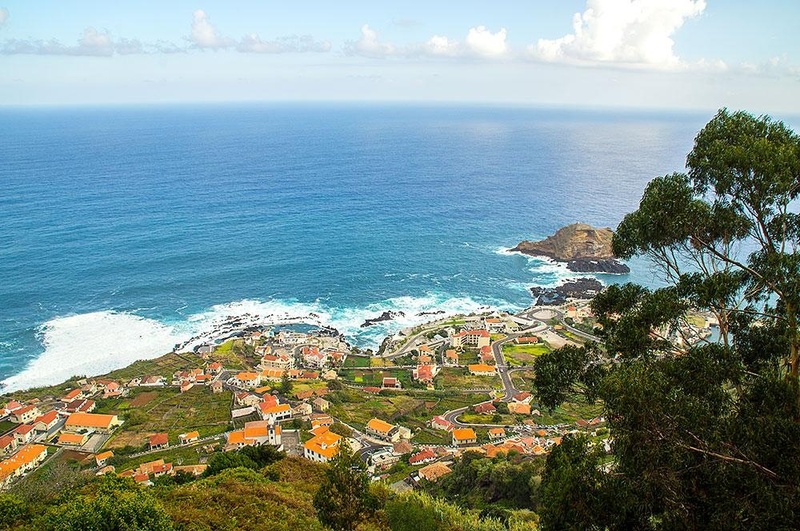 Porto Moniz has attractions for those who are just visiting and also for those who choose this village to spend their holidays. 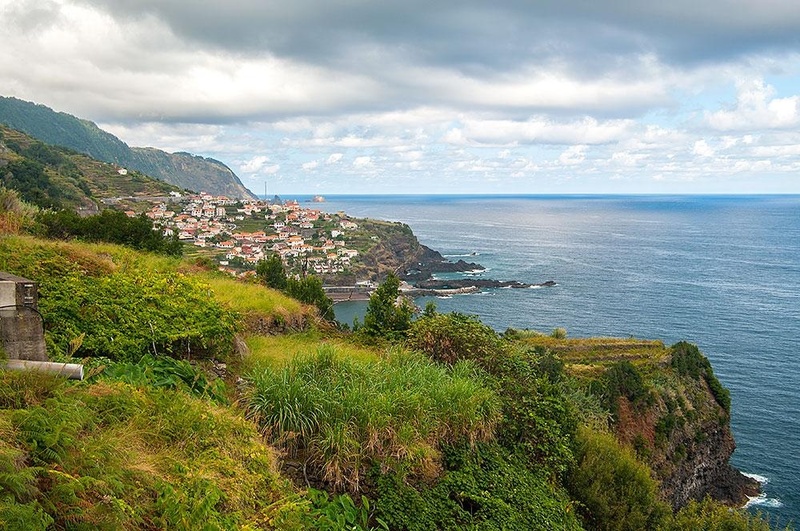 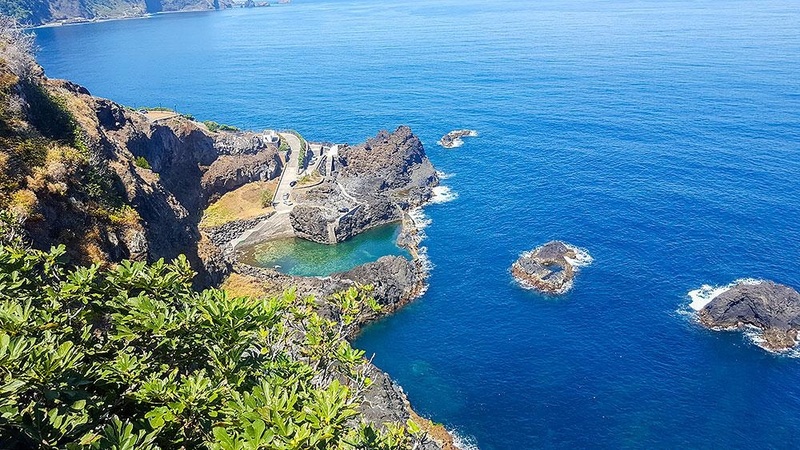 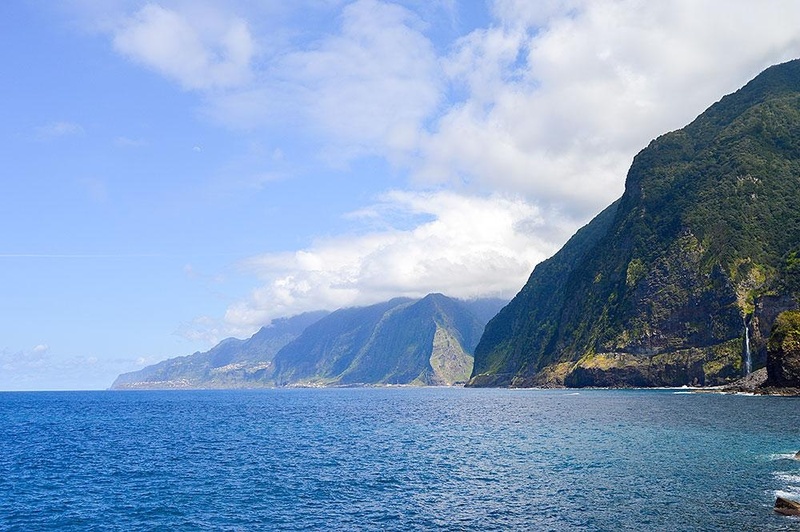 If you approach Porto Moniz from Santana and stop at the Cabanas lookout you will be stunned by the view. 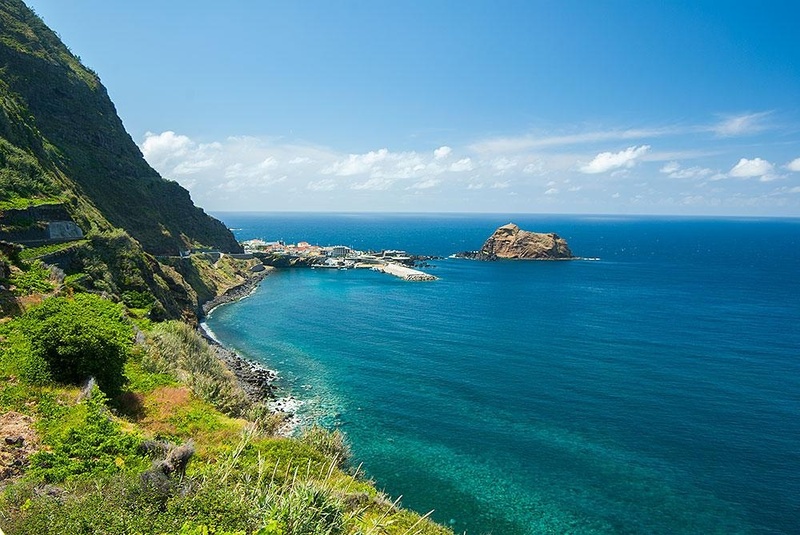 You will see Porto Moniz nestled between the mountain, with its layers of cultivated land, and the north coast sea. 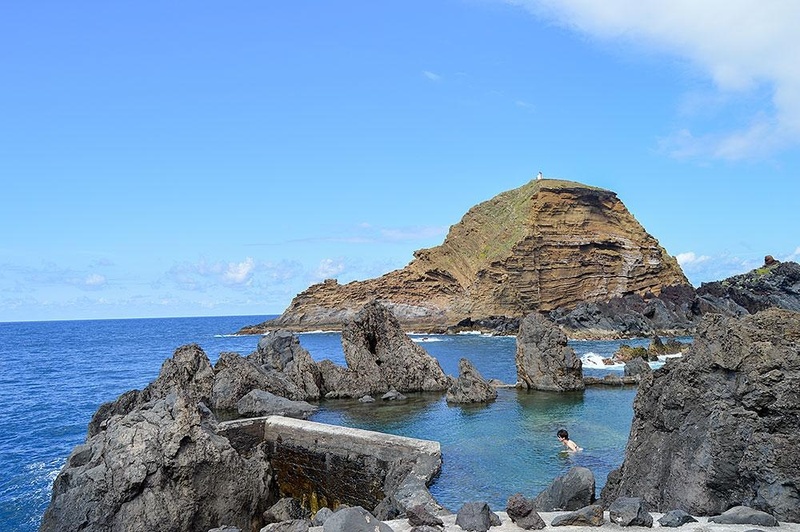 The natural pools in Porto Moniz are one of the main attractions of the Parish. 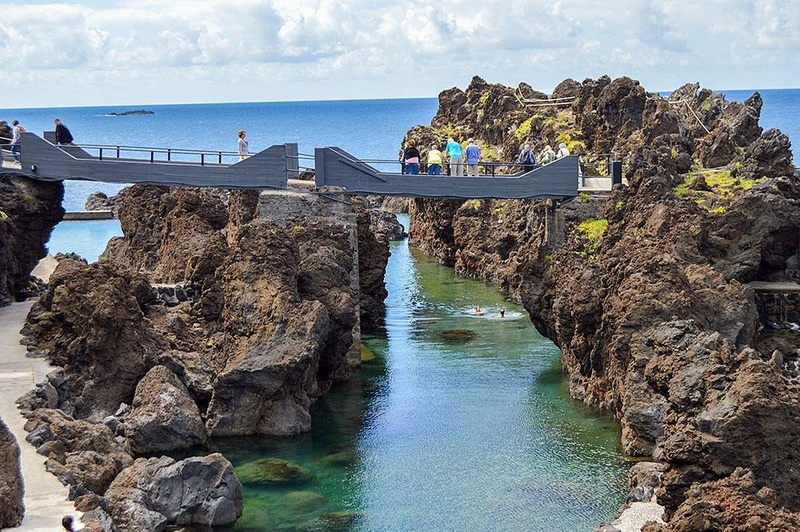 Made from volcanic rock the pools are filled naturally by the tides and have a rare beauty. 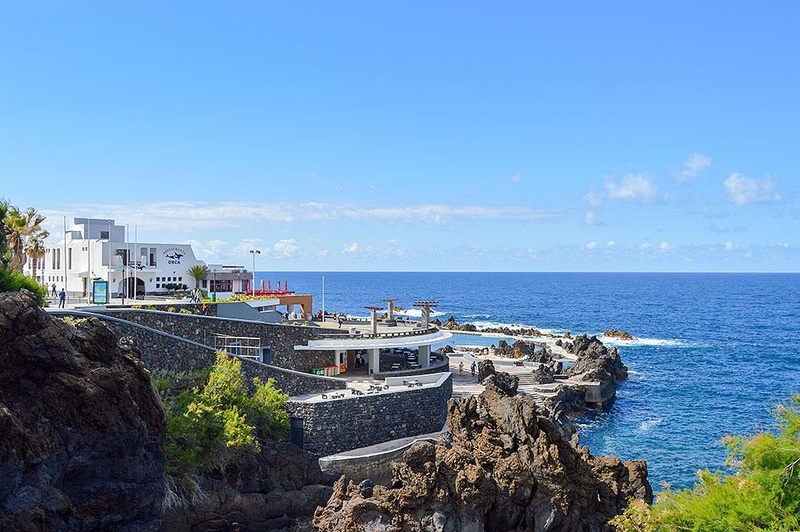 At this bathing complex, which has five lifeguards, you will find a bar, changing rooms with lockers, first aid desk and parking. 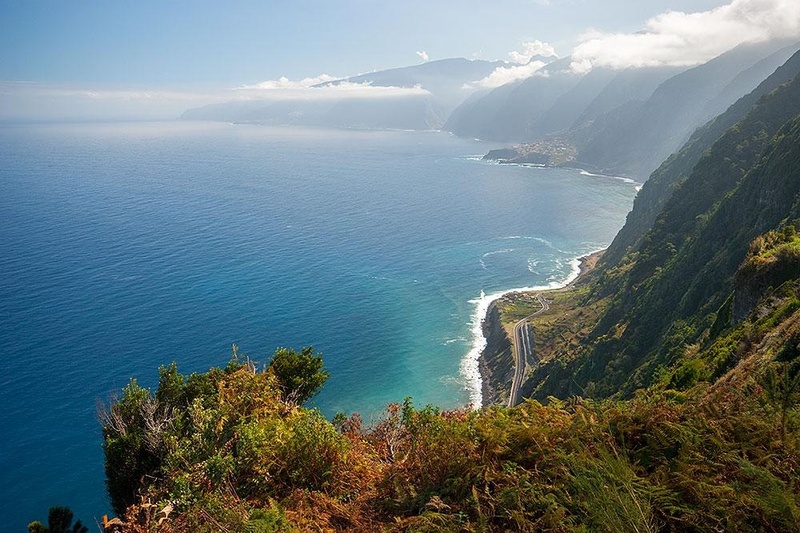 The views of the north coast will take your breath away. 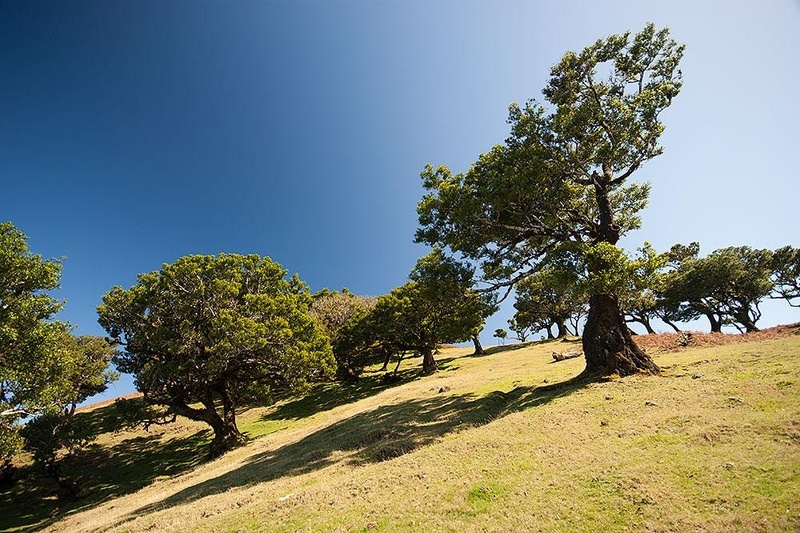 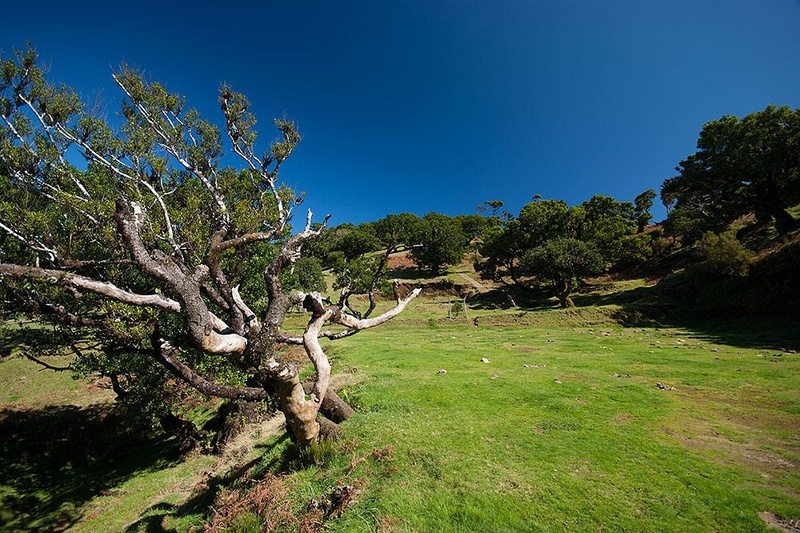 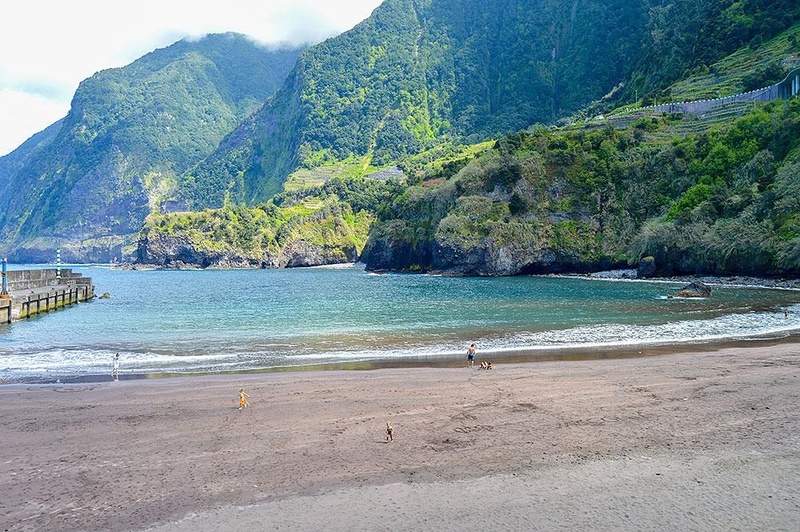 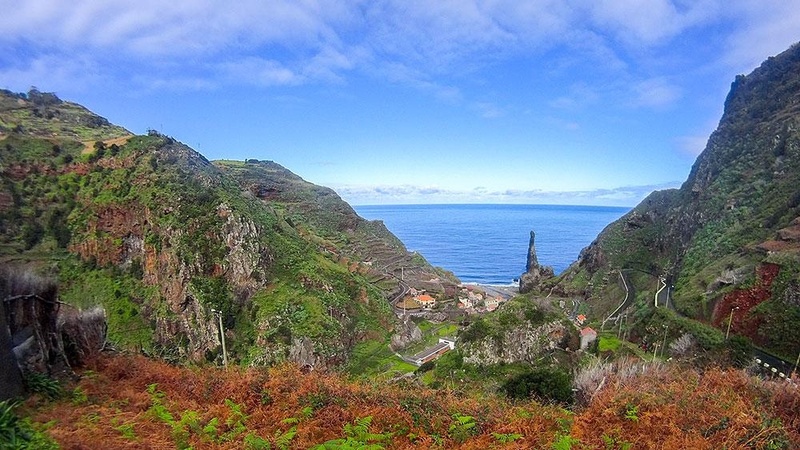 In the mountains above Porto Moniz you can choose one of the many levadas the area has to offer. 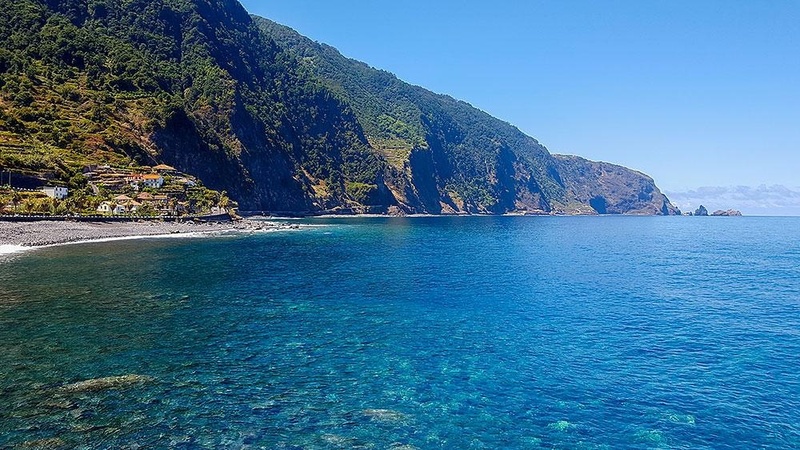 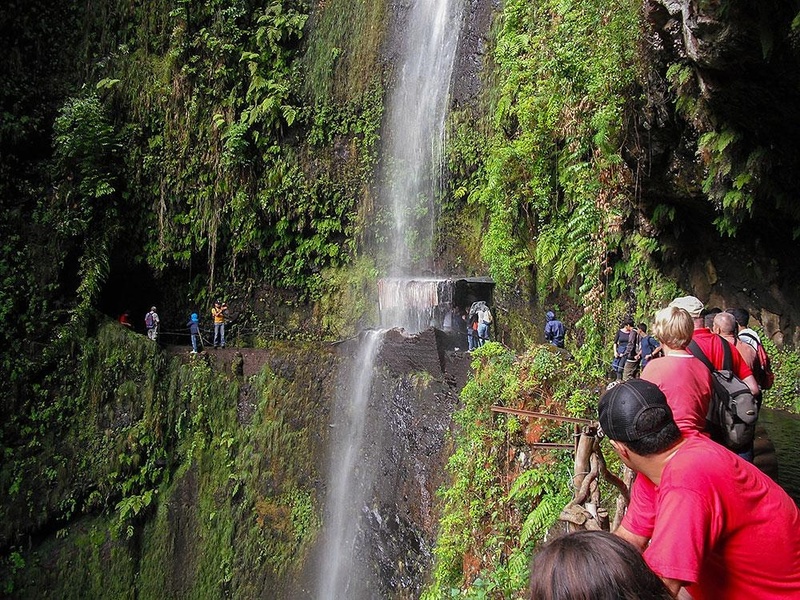 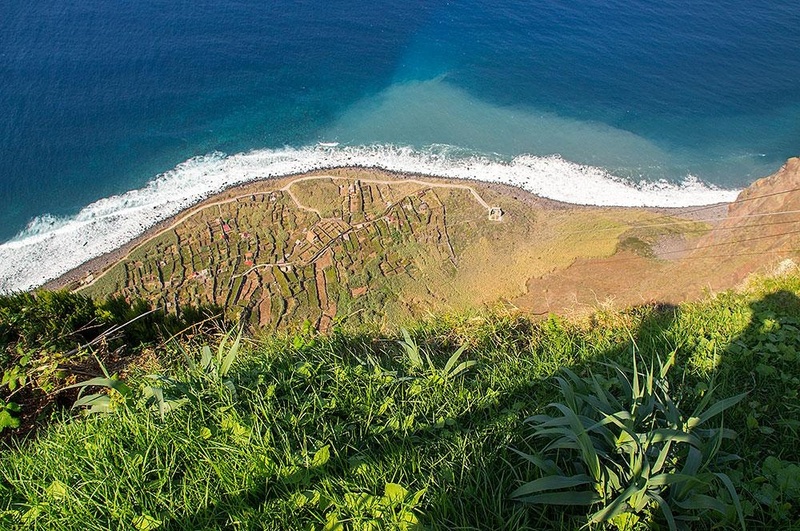 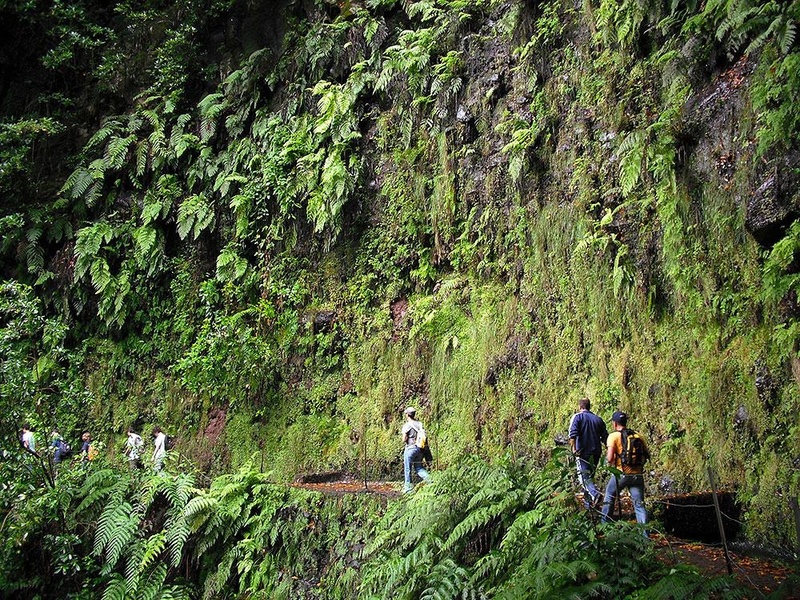 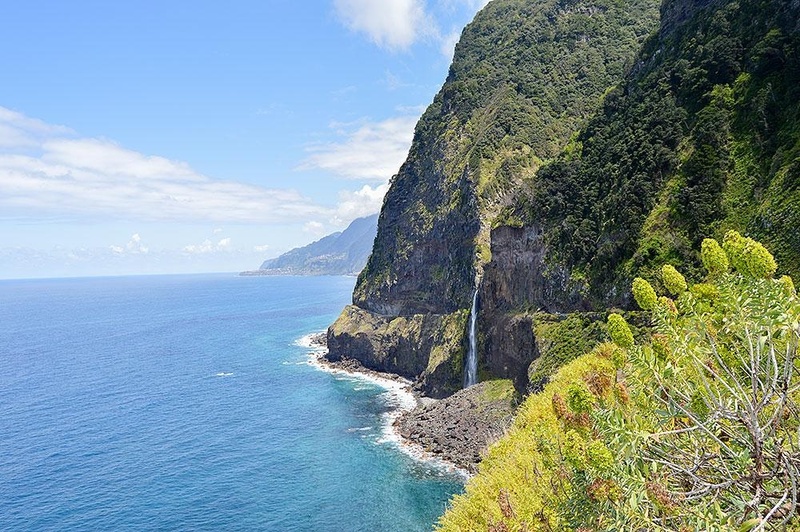 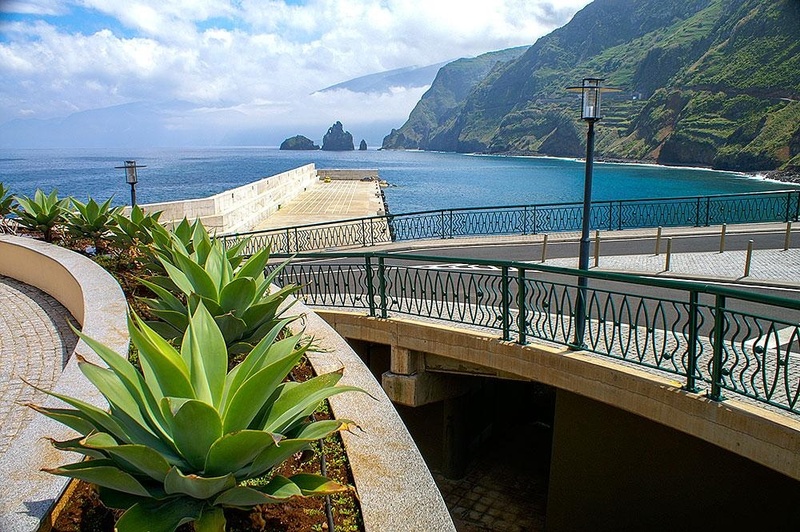 In this photo you can see the Ribeira da Janela Levada.